Bring style and comfort into your outdoor living space with the Salemo 3-Seater Lounge Set. Offering comfortable seating for five, the set is ideal for gardens and patios of any size. The 3-seater sofa, two chairs, and storage table are all made of a weather-resistant resin that also boasts a chic wicker texture, providing the perfect combination of elegance and durability. 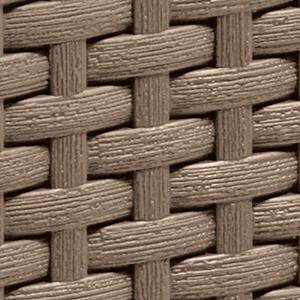 The resin flat wicker is a perfect blend of elegance and durability. Offers comfortable seating for five people thanks to the spacious 3-seater sofa and two chair that all come with soft seat cushions. Easy to assemble without using any tools, so you can enjoy the set right away.